When the panda’s cub is first born it is blind and pink, weighing only 90 to 130 grams (3.2 to 4.6 ounces) what is only 1/800th of the mother’s weight. Mother nurses it six to fourteen times a day for up to 30 minutes at a time. One to two weeks after birth, the cub’s skin turns gray where its hair will later become black. The eye-spots are at first in the shape of a circle, later the circles become shaped like a teardrop. Black and white cat-foot also known as panda bear is a native to south central China and is recognized by the large, distinctive black patches around its eyes, over the ears, and across its round body. 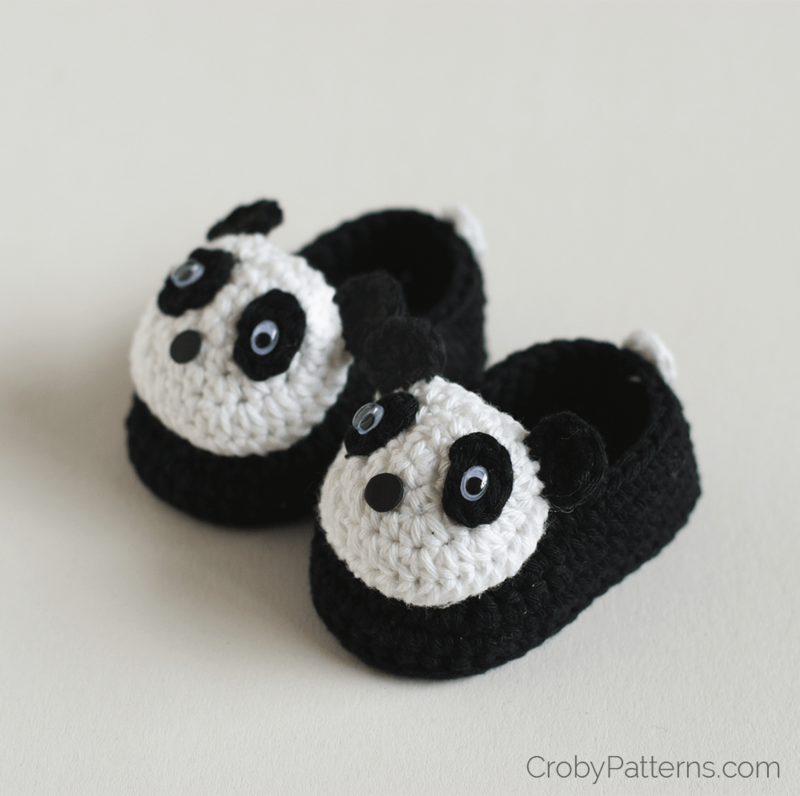 Inspired by the cute panda bear I’ve designed a pair of booties for our little angels. Few weeks ago I’ve created a pair of piggy booties. They were, by surprise, a huge hit on my blog. So, if you have a pair of piggys, why then not have a pair of pandas too. 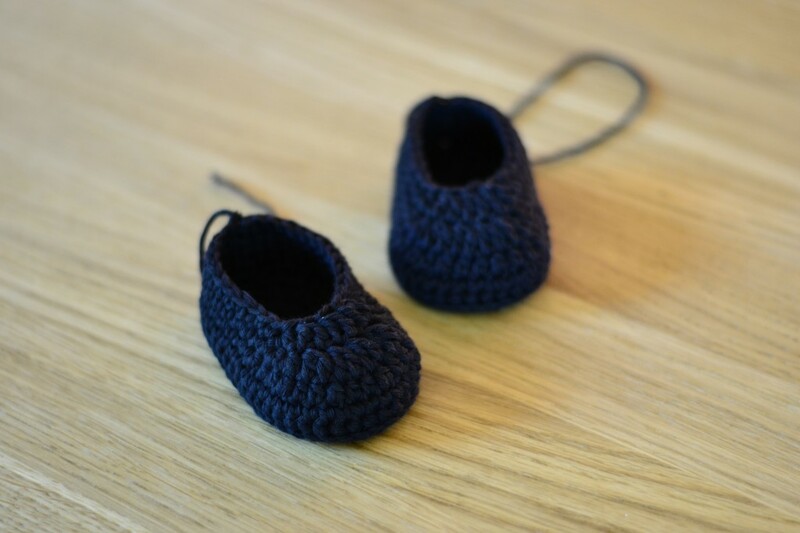 If you have somehow missed my piggy baby booties, you can find the pattern HERE, and if you would like to create a toy to go with them you can find the pattern HERE. 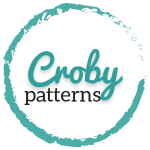 Because I always love to see your creations using Croby Patterns designed, use #crobypatterns …so I can find you and give you a big heart or thumbs up! 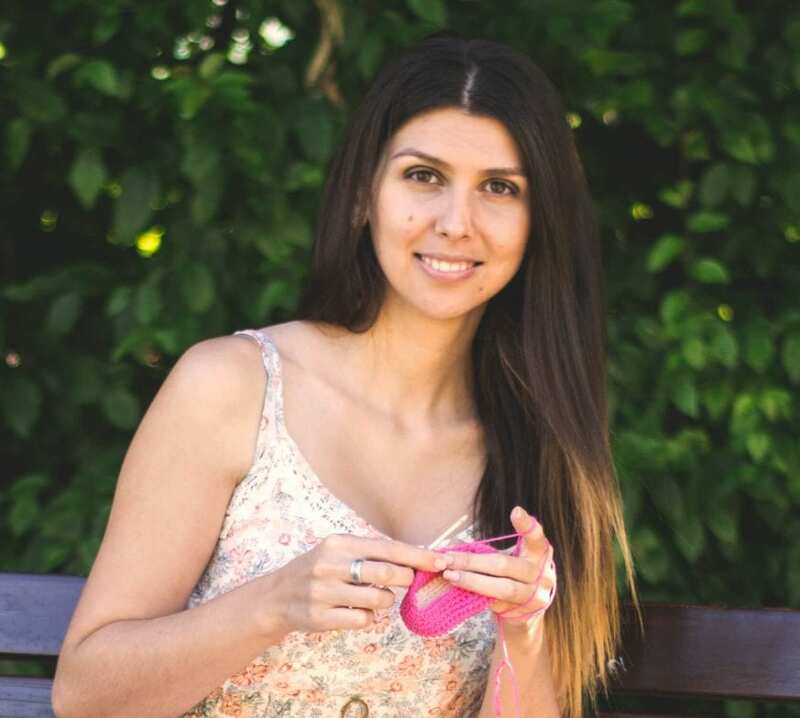 Enough talking, and let’s start crocheting! Use MC and 3.5 mm (E/4) crochet hook. Round 2: Ch 1. Start in the same stitch. Make 2 hdc into next 2. Hdc 7 (10). Make 2 hdc into next 5. Hdc into next 7 (10). Now make 2 hdc into last 3 stitches. Join the round wit ss. Find center back stitch of the sole; fold the sole in half lengthwise. The stitch in the fold is the one that you want. The upper part of the shoe is worked with hook going from outside of the shoe to the inside and the nicer side of the sole should be on the outer side of the shoe. Ch 1. Sc into the same st. Sc into next 11 (14). Hdc 1. Hdc2tog. Repeat dc2tog 4 times. Hdc2tog. Hdc into the next one. Sc into next 12 (15). Join the round with ss. Head is made of two pieces. 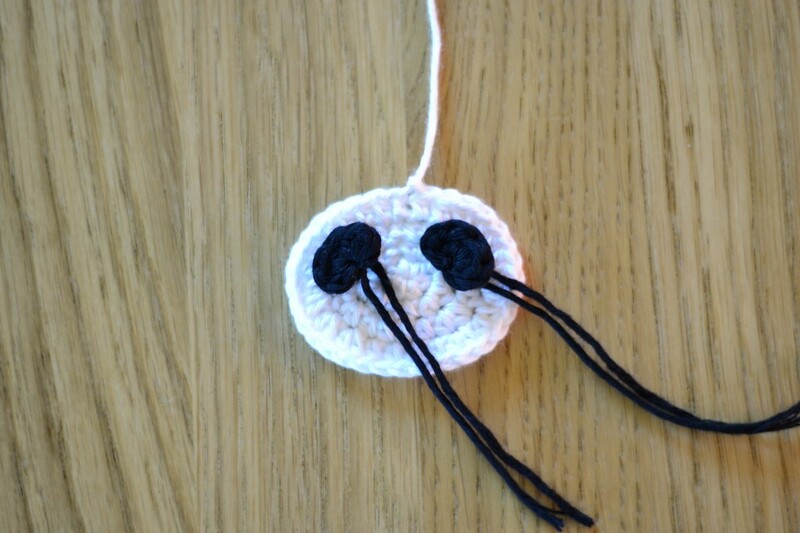 Use CC and 2.7 (C/2) crochet hook. End each round with the ss into the first stitch of the round. Chain 2. Start in the 2nd chain from the hook. Round 1: Work 6 hdc sts into the same stitch. Join the round with the ss. = 6 sts. Round 2: Work 2 hdc sts into each hdc around. Join the round with the ss. =12 sts. Round 3: Work 1 hdc into the first one, Work 2 hdc into the next 4. Work hdc into next 2. 2 hdc into next 4. Hdc into the last one. Ss. = 20 sts. Round 4: Work hdc into next 2. 2 hdc into next 6 sts. Hdc into next 4. 2 hdc into next 6. Hdc into the last 2 sts. Join the round with the ss. = 32 sts. You will need two for each pandas head, 4 parts in total. 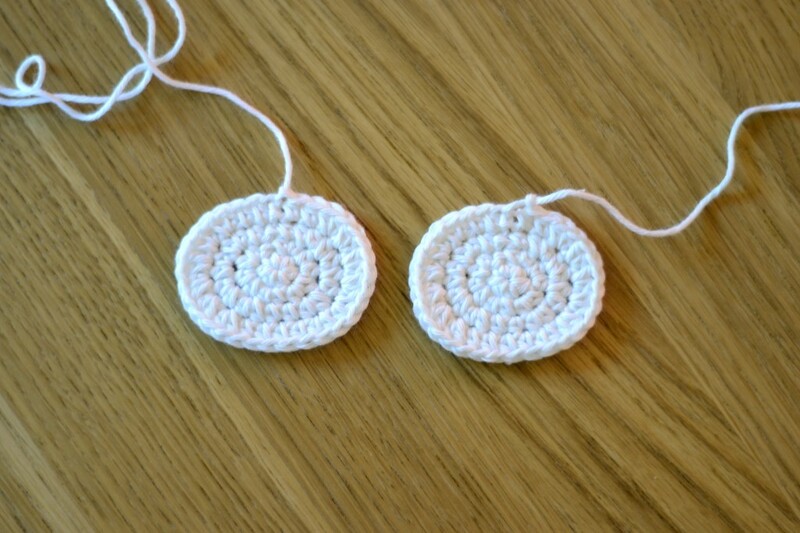 Use MC and 2.7 (C/2) crochet hook. Chain 2. Work all the sts in the 2nd stitch form the hook. Round 1: 4 hdc. Then ch 2 and join with the ss in the same stitch you’ve made 4 hdc sts. You will need 4, for each eye one. Now take one circle for each head and sew eye-spots on it as seen in the picture. You can use a small button for the nose too. You will need 4 of them, for each head two. Sew the ears on the top of the head. 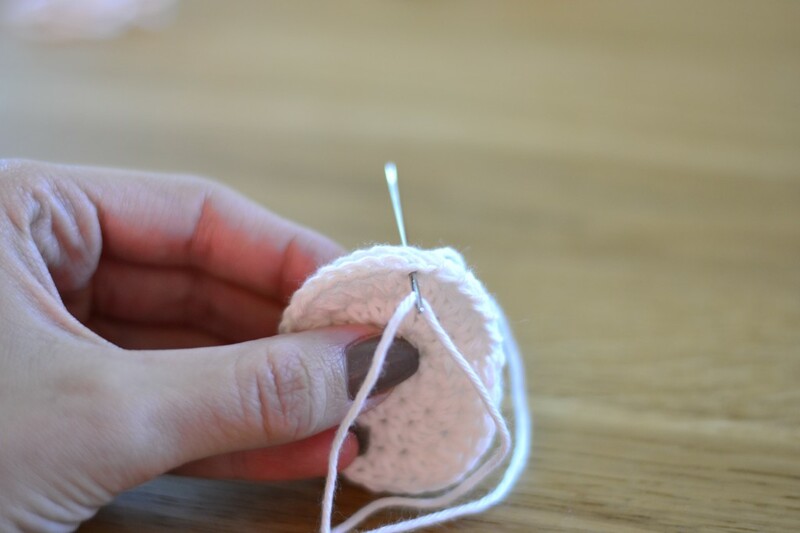 Using CC and 2.7 (C/2) crochet hook create two small circles, you will need one for each shoe. Round 1: 6 hdc into the same stitch. Join the round with ss. = 6 sts. Sew the tail on the heel part of the shoe, on the top, as seen in the picture. 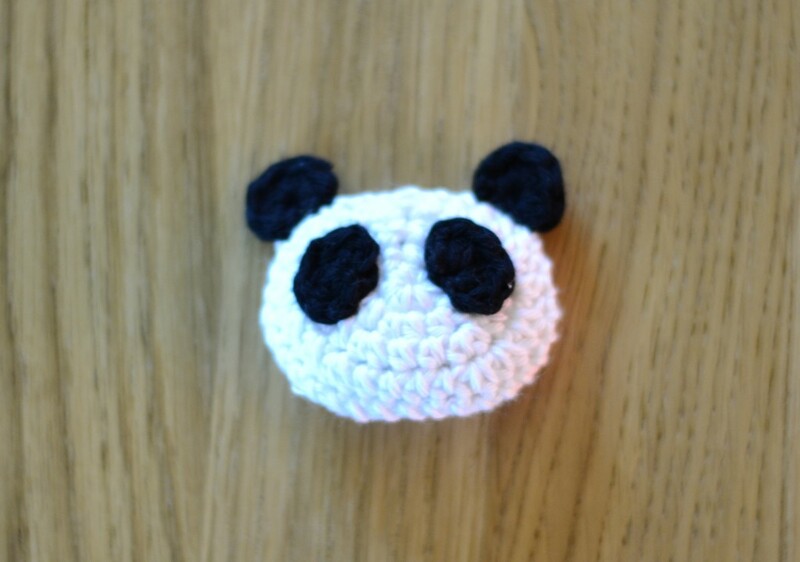 Now take the pandas head and sew it on the front part of the shoe. Repeat this part for the other shoe too and you are done. These are so precious . . . What a delightful pattern! Thank you so very much for such a “beary” cute pattern!!! I love your little booties. Hi, I was just wondering what size the eyes you used are and maybe where you found them? Round 4 – I don’t understand how many hdc2tog and dc2tog… Can you explain that more clearly? Sry I’m clear with the above question. I dint understand that part…. Can u explain that?? No, sorry! I went a few rounds around the head, so it was nicely secured. You can also use a hot glue gun just to attach it and later sew it with a thread and a needle. 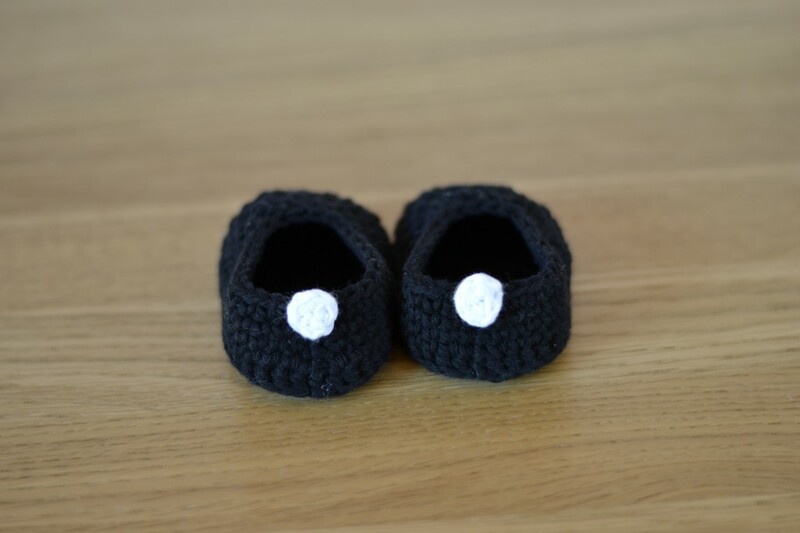 Hi, I’m making these booties for my 8, nearly 9 month old little boy. I’ve followed the sole pattern and compared against his feet for reference, either I crochet really tightly or his feet are massive because the sole is so much small than his feet. Is this normal or shall I continue going round the sole until it’s roughly the same size as his feet? What are the dimensions for a finished 6-12 month bootie roughly? Thank you for reading and I hope this makes sense!